Panasonic electric shavers are one of the most recognized brands and one of my favorite brands because they never compromise on its performance and quality. On Amazon, it continues to get high ratings and positive feedback from the users who purchased and use these electric shavers. The key advantage is the capability to use them wet, which means you have the option to shave with gels or shaving foams over the sink. In recent times, Panasonic has released a variety of dry use shavers, but is now stepping up the game with wet shavers as well! Panasonic is a highly trustworthy Japanese corporation and they’ve never built just any ordinary shaver. They have produced some of best electric shavers for the market. If money isn’t a problem for you and wants the best result from a top-brand shaver, then Panasonic is the right brand for you. 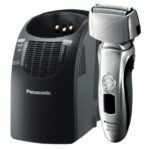 Panasonic ES-LV95-S Electric Shavers – This is best option for those who want an efficient shaver on the market. If money is not an issue for you then I recommend you to buy this shaver. These Arc5 (5-blade cutting system) are the King of electric shavers and help to reduce your shaving time. Panasonic Arc5 ES-LV81-K Shavers – This shaver contains an Arc5 – blade cutting system that gives a clean, dry or wet shaving experience with its 30 Degree nano blades. It costs less compared to Panasonic ES-LV95-S model but have similar 14k CPM motor power. Panasonic Arc4 ES-LA93-K Shaver – This is a mid-range shaver but is definitely the best in performance and quality. It contains 14,000 CPM motor power that gives very fast, close and pain free shave. It is the most desired shaver within budget but shave like high-end shavers. Panasonic is one brand that has proven to always bring the best innovative features to the table. It largely produces what we expect a best electric shaver to have. 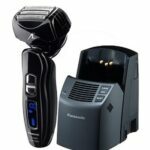 If you are not satisfied with Panasonic, then it will be tough to get an alternative shaver of your choice. It’s not only me who likes these shavers, but lots of customers testimonies prove that this is the best brand in present market. To get the full value of your money, I believe you have some of the best options available below. Panasonic shavers are very fast and powerful. Their shaver contains several blades for a smooth, quick and easy shaving experience. Panasonic is the first company who produced a 5-blade cutting system. Panasonic shavers aren’t only produced to provide an efficient shaving experience, but it’s also very relaxing as well. Comfort is a vital element for men while shaving. We actually picked electric shavers instead of razor blades just for comfort alone. 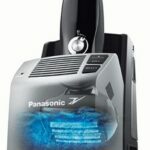 Panasonic shavers are long-lasting and you will get the best value compared to other brands. So, if you are searching for quality and comfortable shavers, then Panasonic electric shavers could be the best option for you. However it is pretty costly, but Panasonic shavers will give you the best value for each penny you spend and it will never frustrate you. A 34 years old review writer from LA. 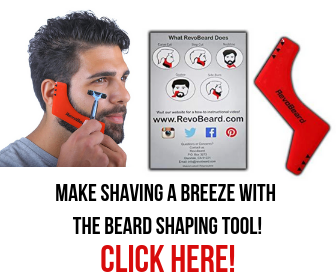 I write reviews for Mybestshaver.com on best electric shaver to help people to find their best electric shaver ever. I'm @ Google+ | More About Me. Over the past 29 years of shaving experience with all types if electric shavers. The Panasonic ES-LV81-K is the best electric shaver I have ever used without a doubt .